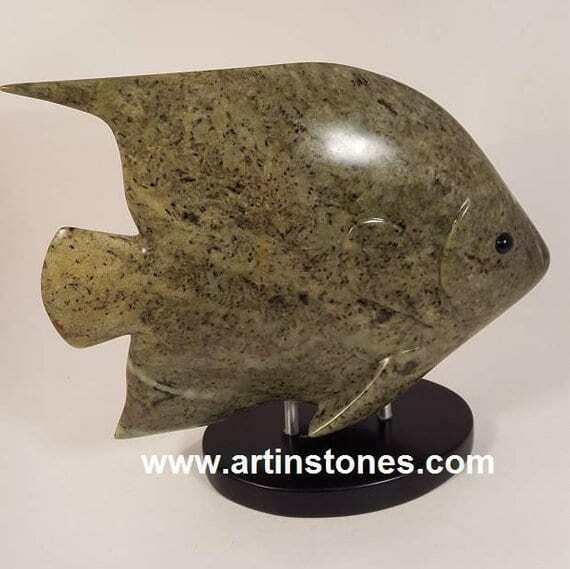 Beautiful hand carved sculpture of Angelfish, made from Brazilian Soapstone. 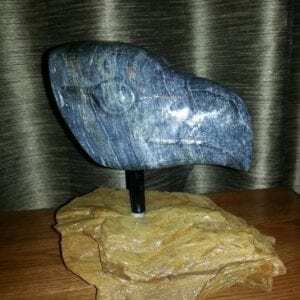 Eyes are carved from Black Chlorite. 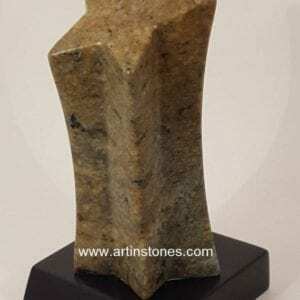 Sculpture is mounted on a African Wonderstone base with brushed aluminum supports. 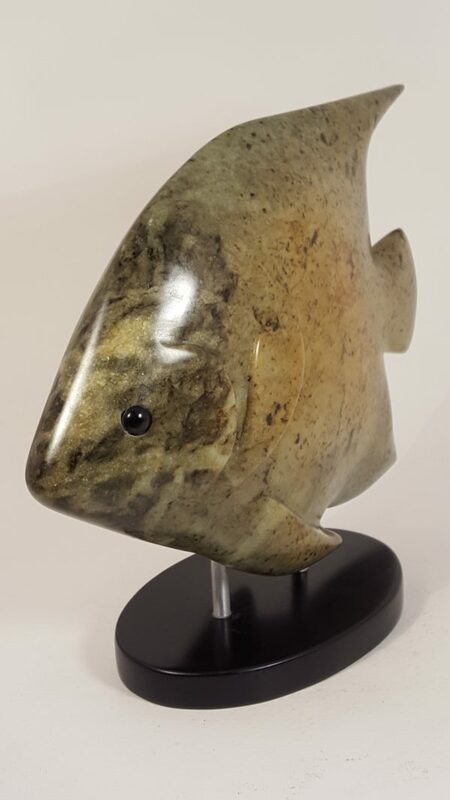 Beautiful art sculpture display piece. 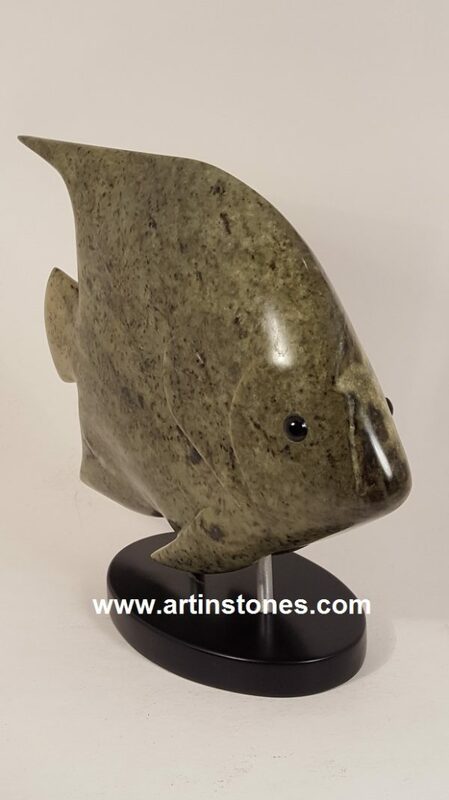 One of a kind, created by the artist. Carved using basic hand tools only, high polish and finished naturally with melted beeswax. 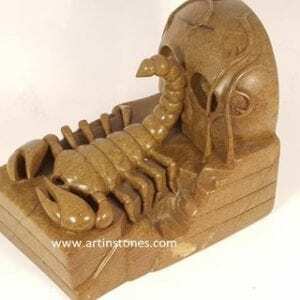 Approximate dimensions: 8 inch (20 cm) overall height x 9 inch (23 cm) overall length. 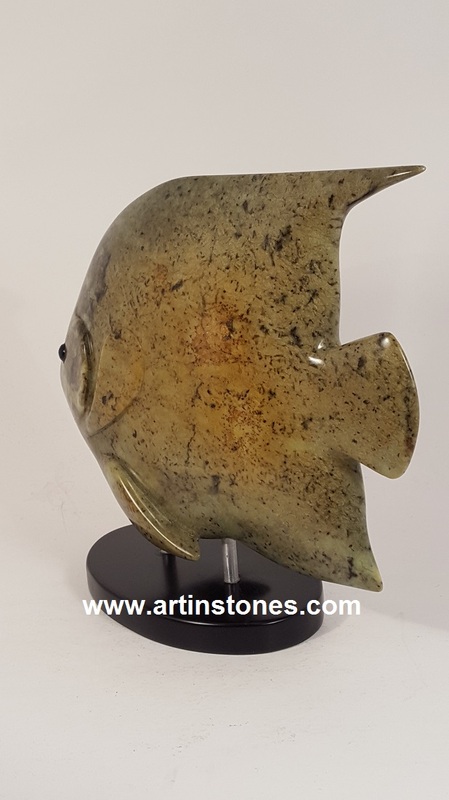 This is an amazing sculpture with wonderful variations of stone color on both sides, various green tones on one side and brown tones on the other, with black accents throughout. 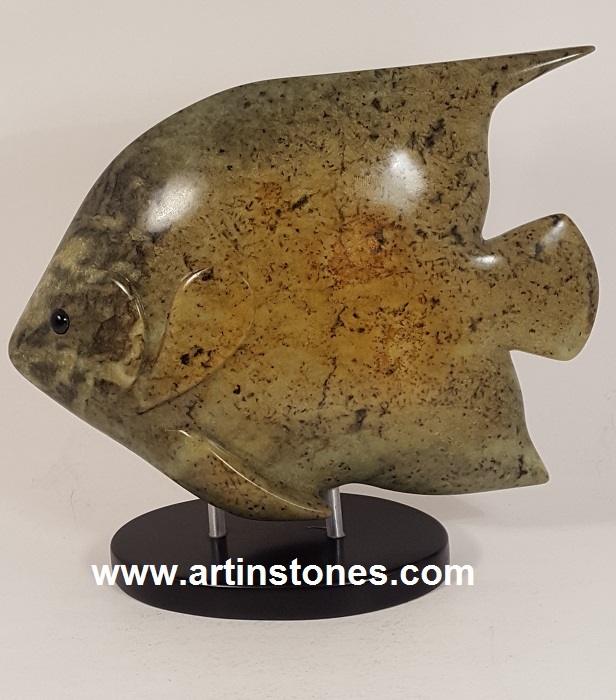 Remarkable that this comes from a single stone with these color variations. An art collectors show piece. Shipping charge includes special protective packaging with insurance coverage. Comes with artist certificate of authenticity. 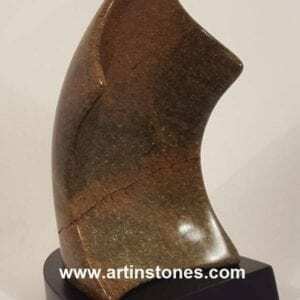 This would be an amazing piece for any art collection and great art investment of new upcoming artist. Free shipping offered for orders over $55.65 within North America.